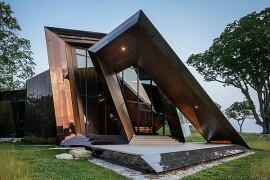 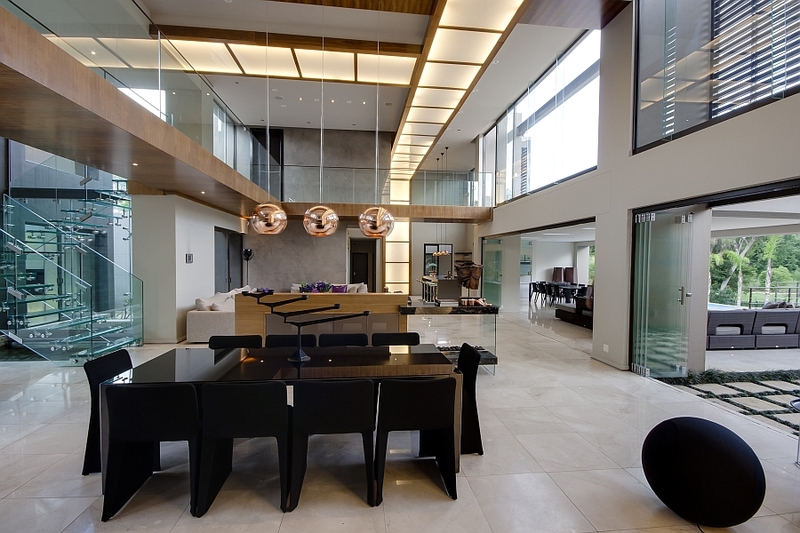 We often look at so much inspiration from the Northern Hemisphere, it is nice to sometimes switch sides and explore an extraordinary modern residence from the other half of the globe. 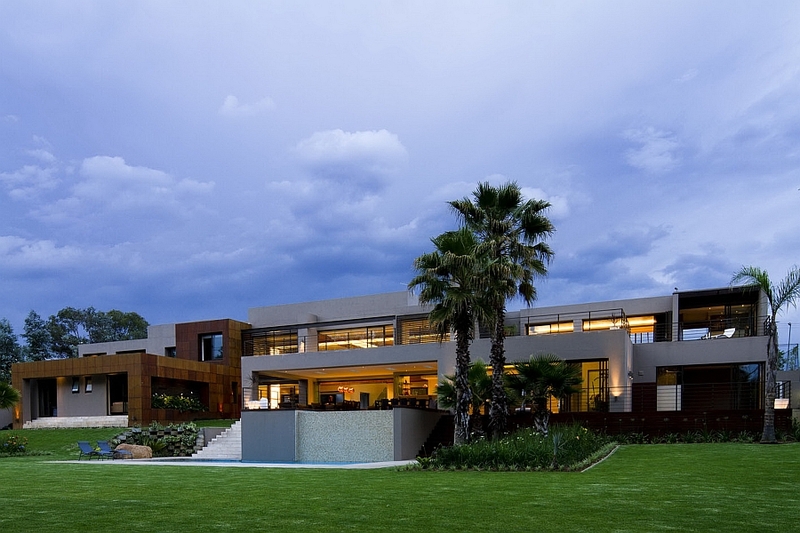 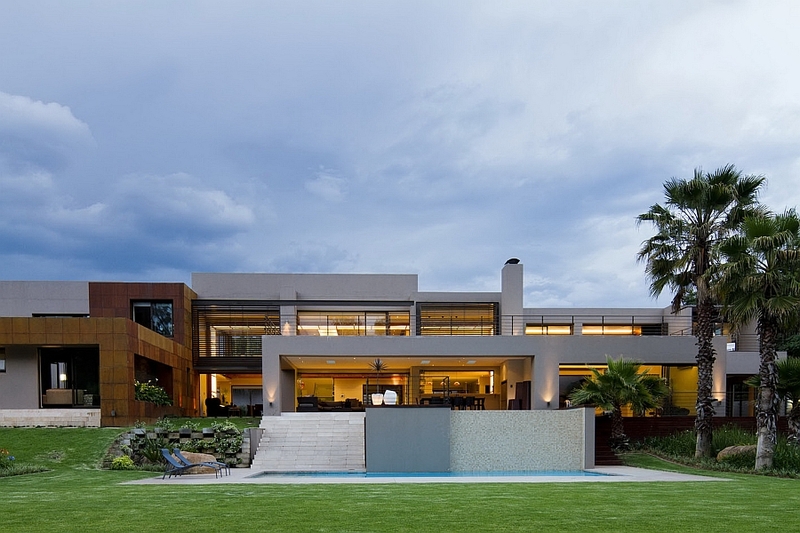 Located in Bryanston, Johannesburg, South Africa, House SED is truly an exceptional extension project that sweeps you off your feet with sheer grandiosity. 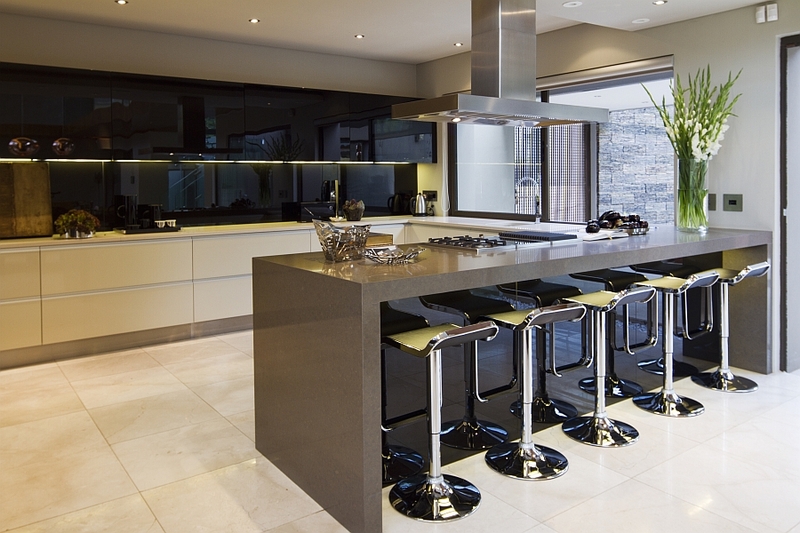 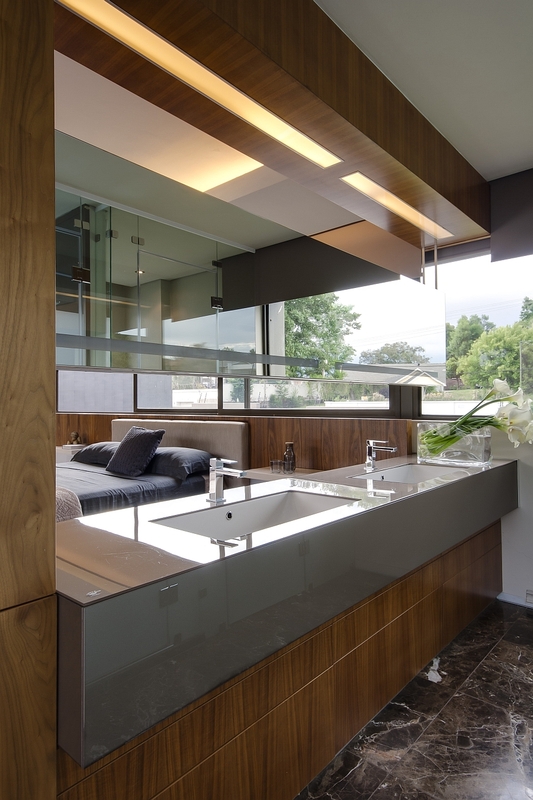 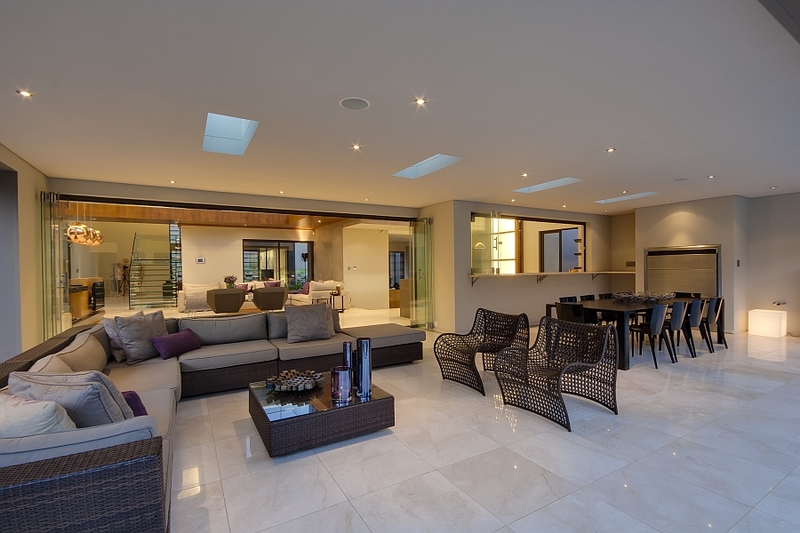 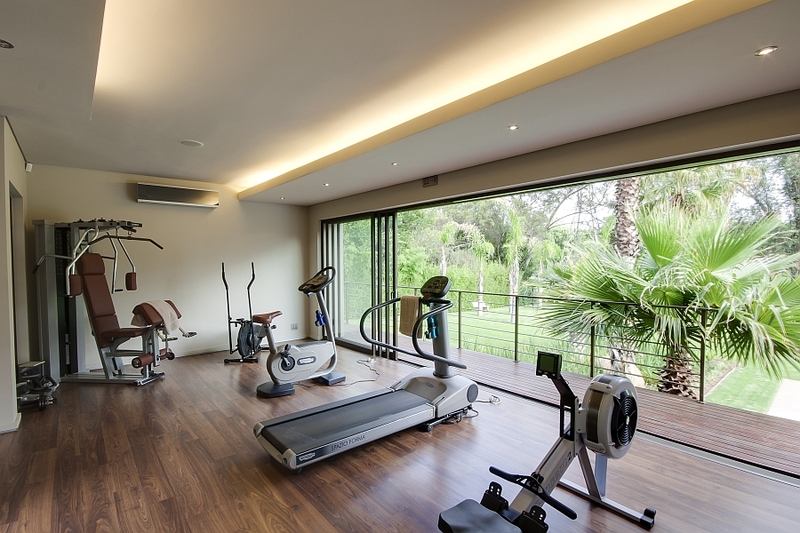 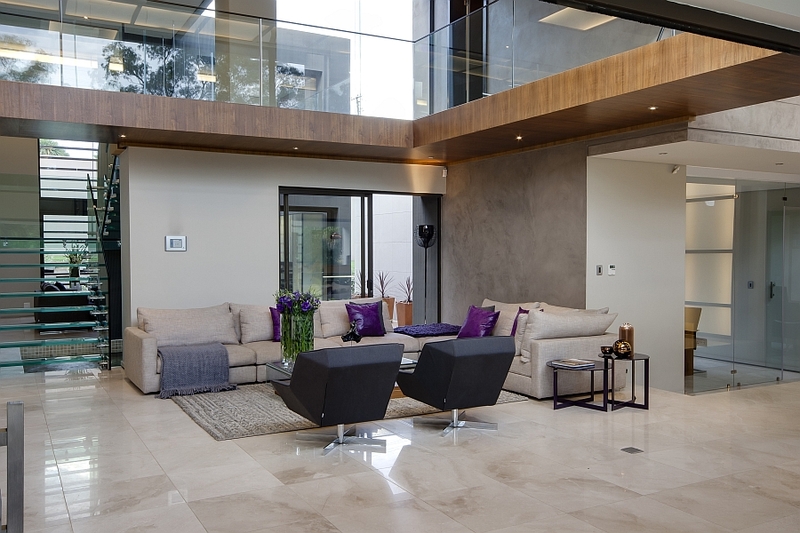 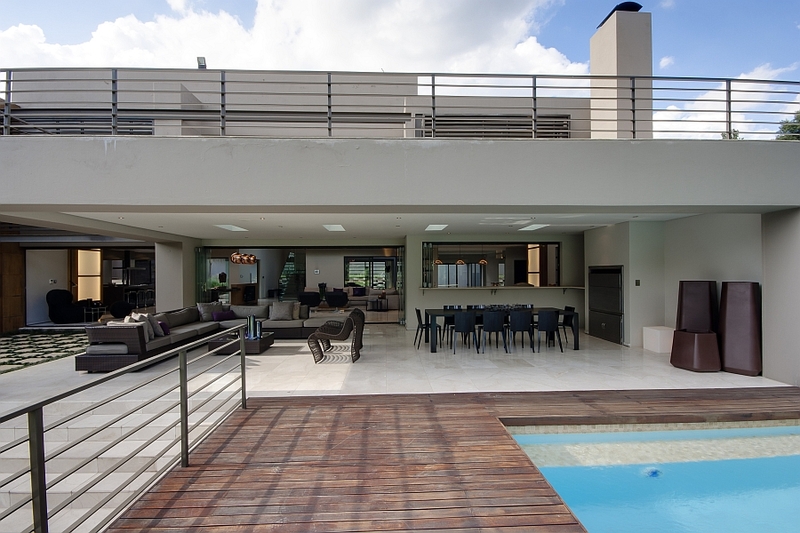 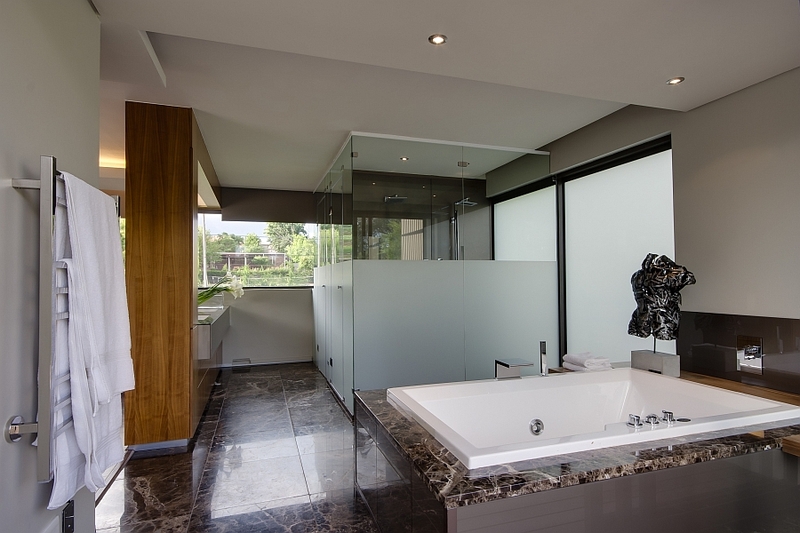 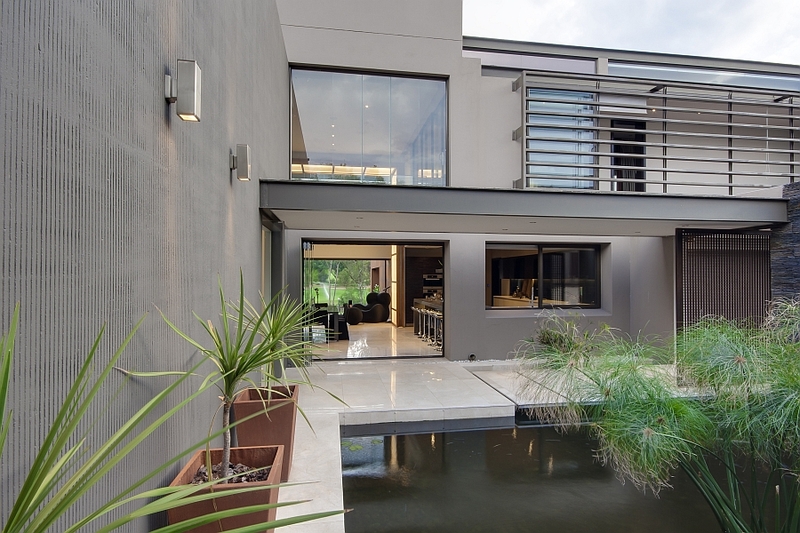 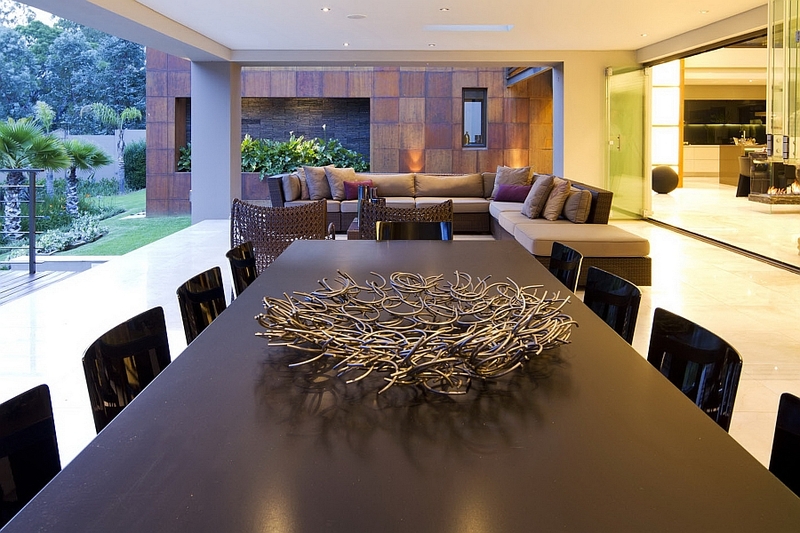 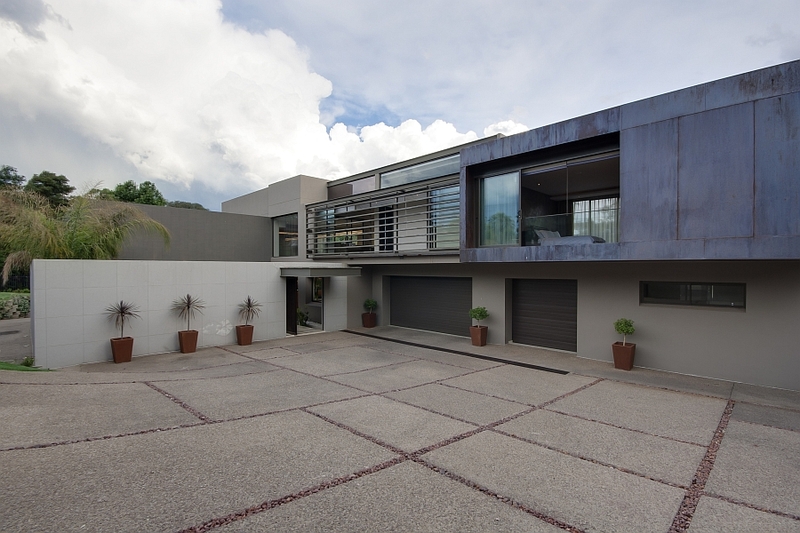 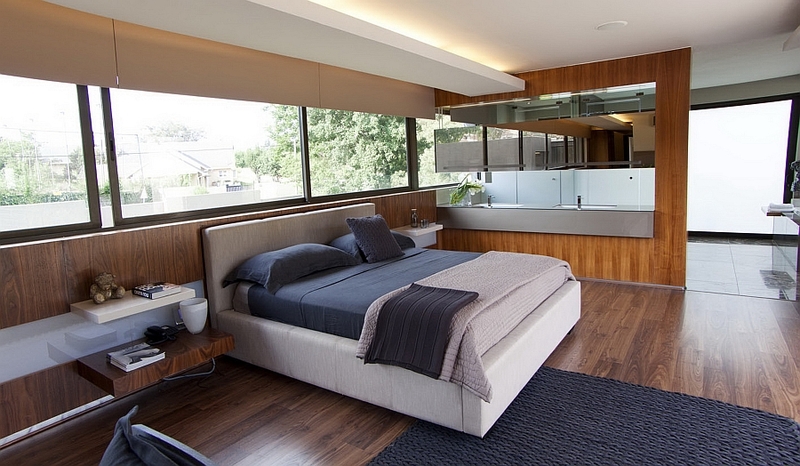 Designed by Rudolph van der Meulen Architects of Nico van der Meulen Architects, the lavish residence showcases sweeping interiors with high ceilings and posh decor additions that complement the inimitable appeal of the space. 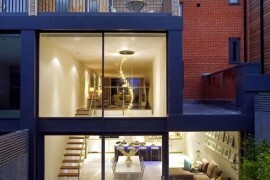 Originally a single-story home, the extension project doubled the entire living space of the house. 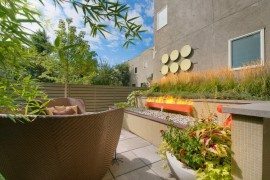 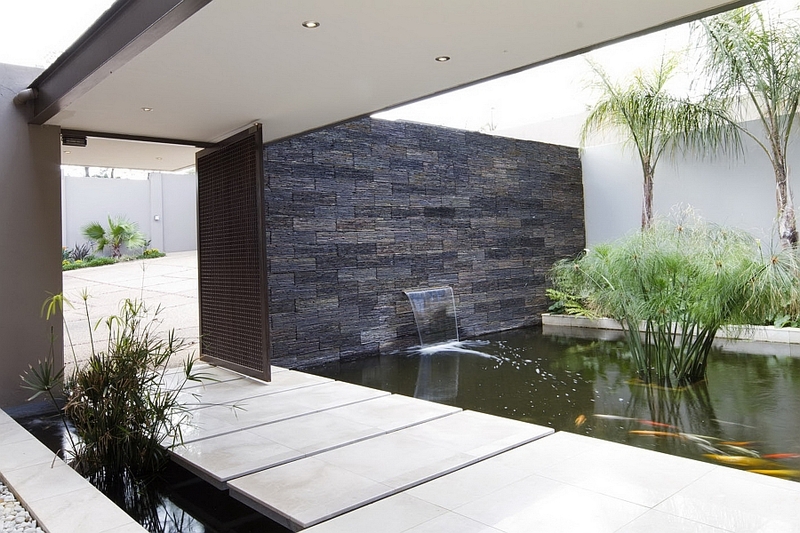 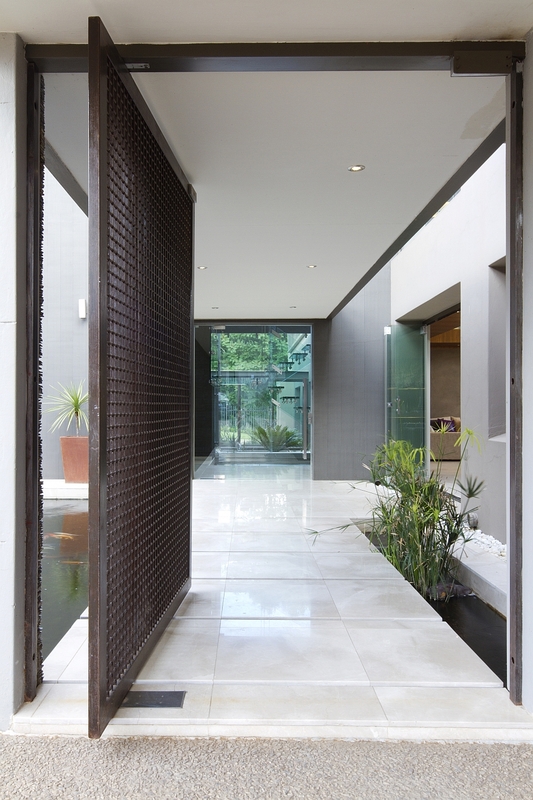 The revamped house sports a grand entrance that captivates you with a stylish water feature, a serene koi pond and a beautiful walkway that leads to the generous living area. 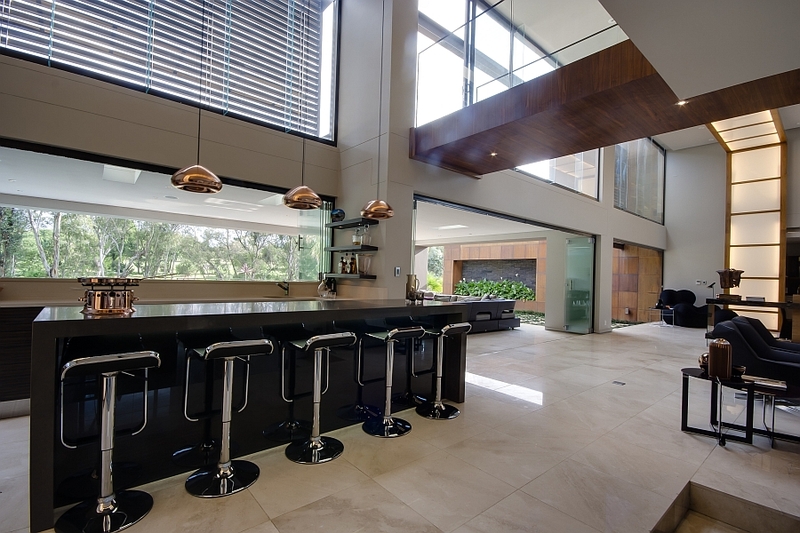 An open floor plan sees an opulent living space, a stylish modern kitchen and a classy dining area connected visually with one another. 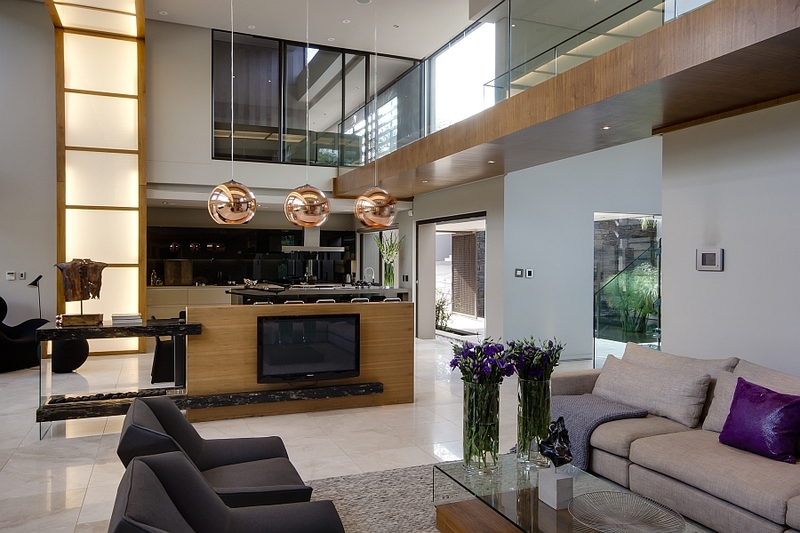 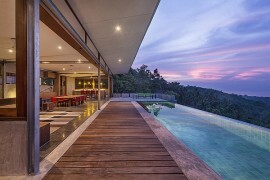 The high ceiling and ample space give the residence an airy, open vibe. 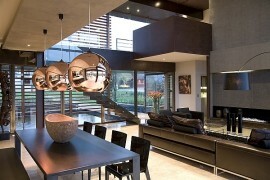 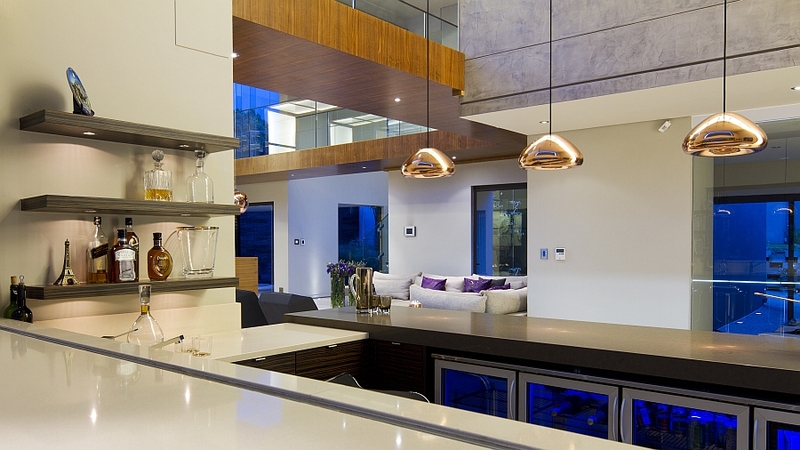 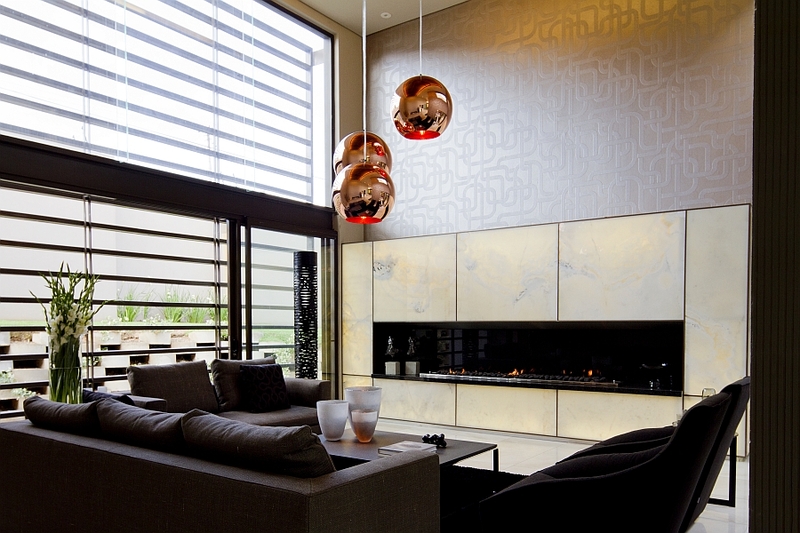 Cool pendants in copper hues, a fireplace in back-lit onyx and a minimal entertainment unit steal the show here. 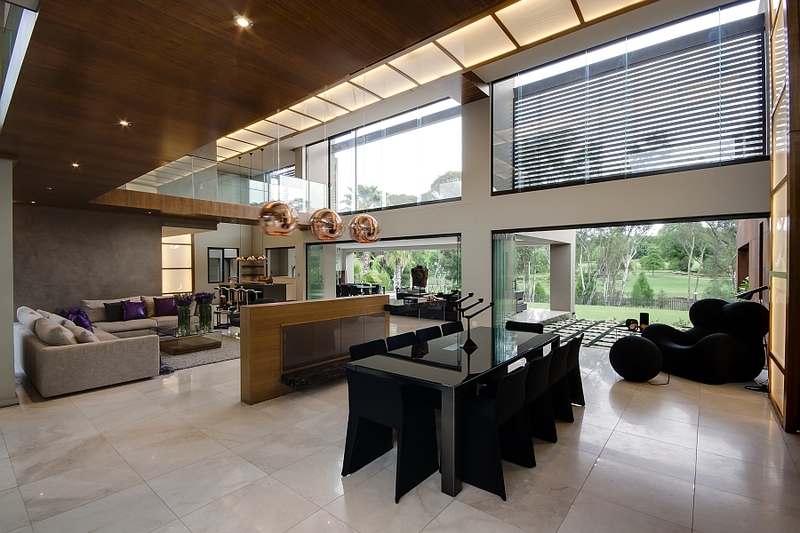 Clad in marble, glass and wood, House SED combines top-notch furnishings with equally refined design to create a sleek and sophisticated retreat. 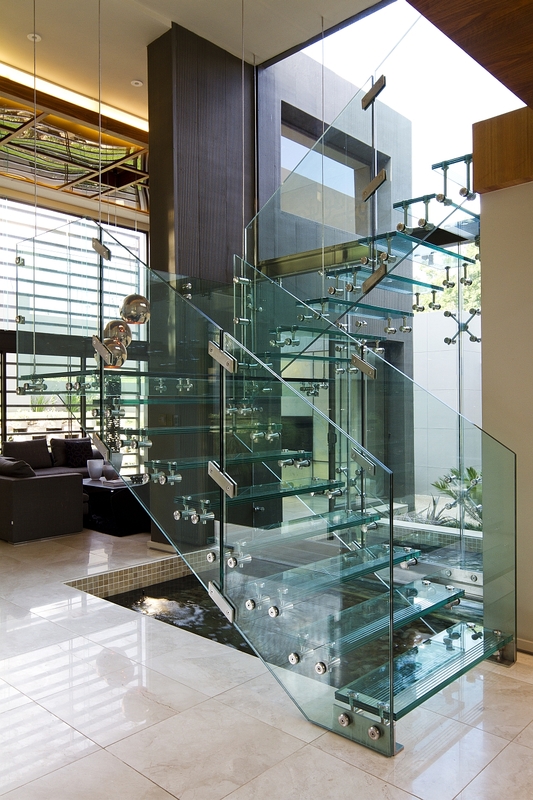 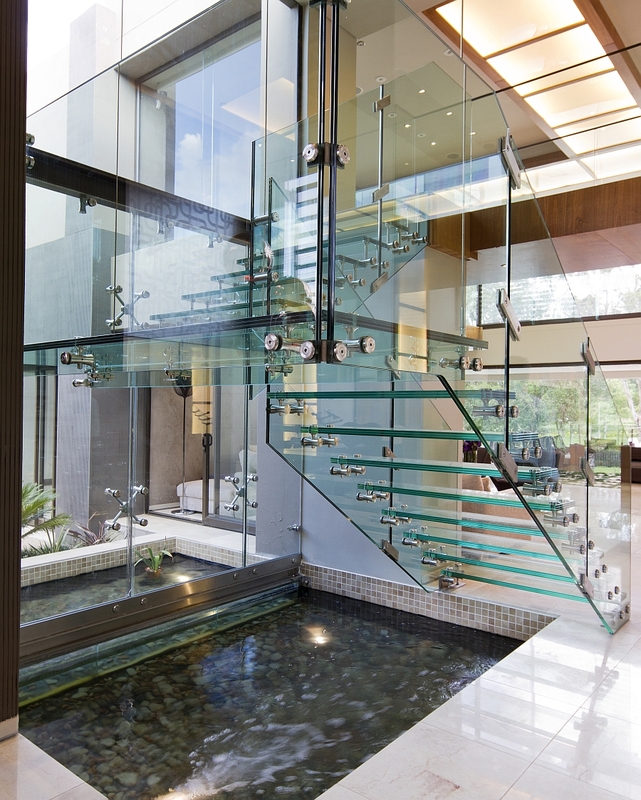 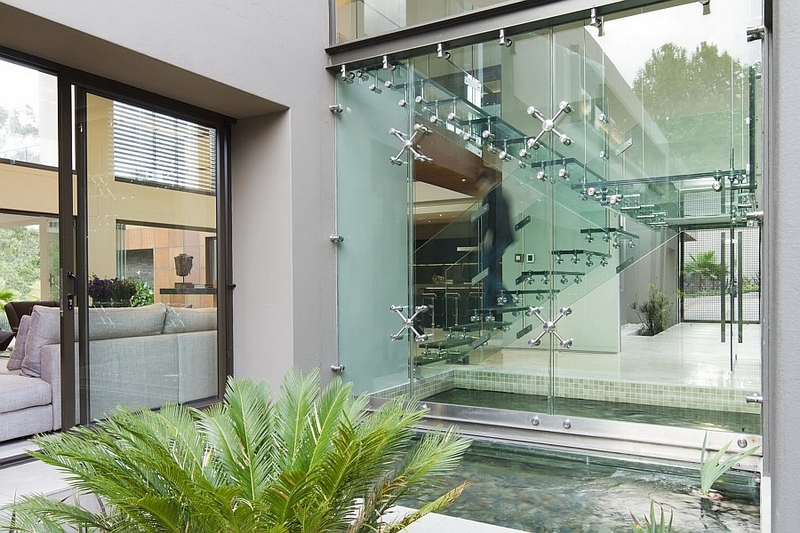 A glass staircase that floats above the indoor pond is another visual highlight of House SED that will leave you mesmerized. 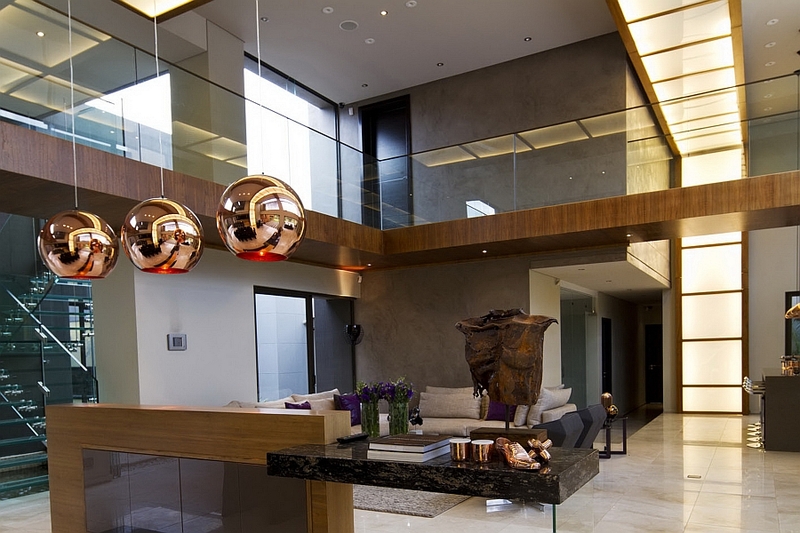 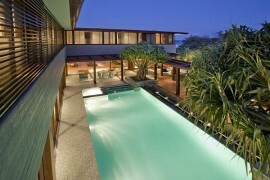 Posh bedrooms with inviting warmth, exclusive, private balconies and a refreshing pool complete the extension project. 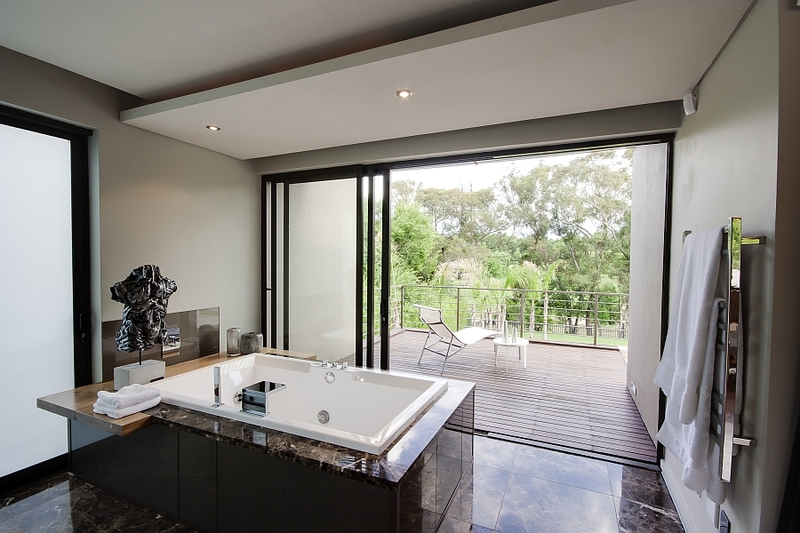 Large glass doors ensure that those inside can enjoy unobstructed views of the greenery outside, while the elegant lounge lets you rejuvenate and relax in style!